Following the success of Apple’s AirPods, a previous leak suggested that Huawei was preparing to unveil its own alternative on October 16. But according to some new information, it seems HMD Global may also have an offering of its own up its sleeves. According to the information, the new earphones will bear the name “Nokia True Wireless Earbuds V1” and are set to cost €108. At this point in time, it’s unclear what kind of design or specifications are to be expected. However, a focus on fitness is likely which means they could resemble Samsung’s Gear Icon X earbuds. Moreover, in the hope of competing more directly with Apple’s AirPods, Google Assistant integration will presumably be included. Alongside the new earbuds, it’s claimed that Nokia will also introduce a pair of cheaper earphones dubbed the “Nokia Active Wired Earphones V2.” These are set to retail for €30 in Europe and will presumably replace the current Nokia Active earphones. These two audio products are set to join the upcoming Nokia 7.1, Nokia 7.1 Plus, and a mystery third device that will be powered by the Snapdragon 710. No information has surfaced in regards to the accessories for the latter two offerings, although HMD global is expected to announce a Flip Cover and a Clear Case for the regular Nokia 7.1, with these set to retail at €11 and €8 respectively. AIrPods are odd, mate. Saw a woman with those things the other day and at first glance; it looked like as if she'd gum stuck in her ears. I know, I'm rarely serious but this time; I am! Oh well, G'Day! Even so, they work very well. AirPods work great. Hopefully more oem’s will come out with their version. 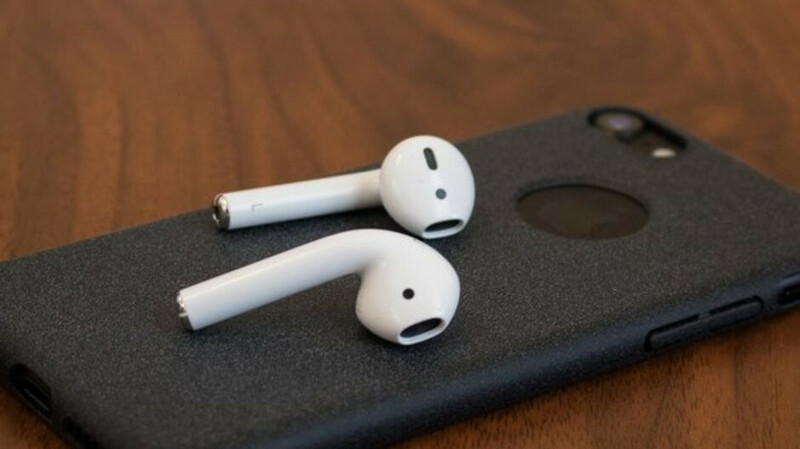 Please dont be bullet design, please have the in ear design the same as airpods BUT with rubber coating & NOT white. Rubber coatings are a bacteria and germ magnet. No thanks. That’s disgusting. You never saw Airpods or Earpods in your life, haven't you? There are so many cracks and little places where dirt accumulates. Sharing plugs is kinda disgusting, but when I borrow one for testing I always clean them properly (before and after use). You know what you can do with every plug on a market? You can take them off your headphones and clean them, try doing that with plastic on an Earpod. There is a reason why earbuds are a dead market for almost any headphone manufacturer. Airpods are really bad - poor sound quality, low to none noise isolation, sync issues now and then, poor plastic tip in your ear. There is a reason why almost no other manufacturer makes earbuds anymore. Sennheiser Momentum True Wireless where are you? I am hoping you will destroy this category of tosh headphones.